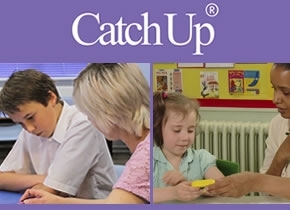 This was the response one 8-year-old boy in Wales gave to a colleague when she asked him the first question of the Catch Up® Reading Interview (Assessment 1), “Do you like reading?”. It’s worth noting that the requirement to ‘enjoy reading’ is not just for students working at or beyond national standard. It applies just as much to students who are working below national standard. Of course, there isn’t a teacher in the land who wouldn’t want children to enjoy reading or who doesn’t do their utmost to foster a love of reading in all children, but ensuring it happens is no mean feat. As adults, most of us like the things we are good at. We are less likely to persevere enthusiastically with something that we find difficult, particularly so, if others seem to find that task easy. Younger students who struggle with reading sometimes declare they enjoy reading but I suspect that is usually because they don’t want to disappoint their teacher! But as those students move up the school they may vote with their feet and adopt a ‘can’t do/won’t do’ approach to reading. Let them listen to texts read aloud on phones, pads or audio ‘listening stations’. Children who struggle with reading are perfectly capable of following a text when it is read to them. Listening to texts exposes children to the patterns of language used in writing which differ from how spoken language is used. ‘Quiet reading time’ could just as well become ‘Quiet listening time’. Don’t make reading a solitary occupation. Lots of struggling readers find solo reading stressful and unrewarding. Set up ‘reading buddies’ who can talk, laugh and work out a text together. Make sure struggling readers aren’t always expected to read texts at their ‘instructional’ level. Texts at that level are ideal for one-to-one tuition where the student has the benefit of adult guidance, but independent reading should be ‘easy’ reading so provide them with comics, graphic novels and magazines. Reading maps, brochures and catalogues can seem more purposeful to some struggling readers and whilst such print is hardly ‘high literature’, at least the students are reading for meaning and experiencing pleasure in reading. Reading plays also suits struggling readers, as they only have to do a little reading at a time.